Jordan Ober never scored a touchdown, intercepted a pass or kicked a ball for the Gaels. But he’s one of the best long snappers in the country, and that skill earned him a scholarship to play football at Nebraska. In two seasons playing varsity football at Bishop Gorman, Jordan Ober made one reception for 18 yards. He was credited with two tackles as a senior and finished his career with five stops. Ober never scored a touchdown, intercepted a pass, sacked an opposing quarterback, led the way on a “Power O” running play or even kicked a ball for the Gaels. And yet, there’s a pretty good chance he’ll be playing in front of more than 80,000 fans on Sept. 5 in Lincoln, Neb., when Nebraska hosts Brigham Young in the season opener. “He’s one of those feel-good stories,” Bishop Gorman coach Kenny Sanchez said. 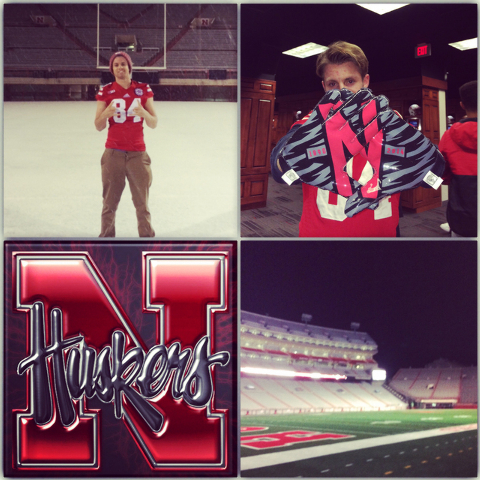 Ober is one of the top long snappers in the country, and his unique special-teams talent earned Ober a full scholarship to play for the Cornhuskers. He will sign a national letter of intent with the school Wednesday, the first day recruits can make their commitments binding. Ober was buried on the depth chart at wide receiver and rarely got on the field for the Gaels’ freshman team. But during a P.E. class, one of Gorman’s assistant coaches saw Ober long snapping and recognized his natural talent for the position. Ober was the long snapper for Gorman’s junior varsity team as a sophomore, and after the season he started working with Chris Rubio, a former UCLA long snapper widely regarded as the top instructor for the technique. That year, Ober made the finals at the Rubio Long Snapping camp and decided to focus all of his efforts on snapping. Ober beat out nearly 200 competitors to win the overall title at Rubio’s camp in May and performed well again at last month’s event. Rubio ranks Ober as a five-star prospect and No. 11 overall at his position in this recruiting class. In his two-year varsity career, Ober’s only poor snap came in 2013 on a punt against Booker T. Washington (Fla.) when the ball deflected off a blocker who was lined up incorrectly. Ober, at 6 feet, 1 inches and 190 pounds, is undersized for the position, but his speed is an asset in punt coverage and he still is able to generate the necessary velocity. The average 15-yard long snap takes 0.75 seconds, and Ober said he is in the 0.61-second range. Ober had preferred walk-on offers from Arizona State, Boise State and San Jose State, and said he was leaning toward the Sun Devils before Nebraska special teams coordinator Bruce Read offered him a scholarship last week. 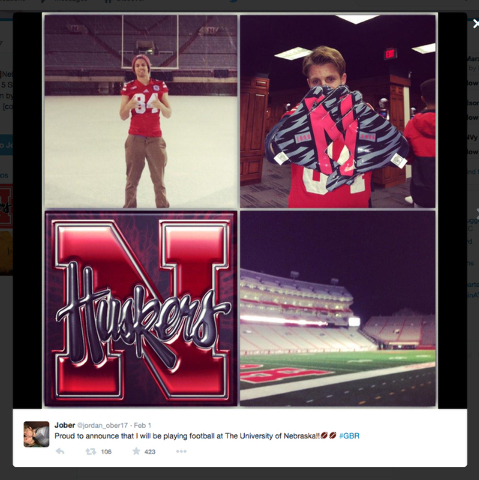 The Cornhuskers were recruiting a scholarship long snapper after Gabriel Miller suffered a career-ending back injury prior to the 2014 season. 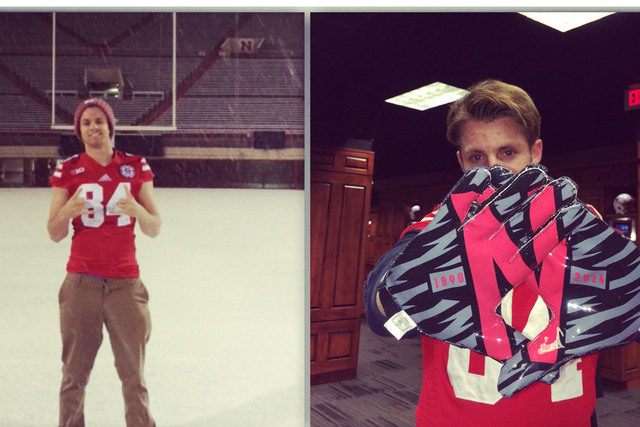 Ober made an official visit to Nebraska last weekend and orally committed. He is not expected to redshirt and will compete for the long-snapping job with Josh Faulkenberry, a walk-on rising sophomore who stepped in for Miller last season. More than 20 local players are expected to sign a letter of intent today. Bishop Gorman wide receiver Cordell Broadus is the top uncommitted senior, and the son of entertainment mogul Snoop Dogg is expected to announce his decision between Arizona State, Louisiana State, Southern California and UCLA at 11:30 a.m. on ESPNU (Cable 320).